Lucas Hedges and Russell Crowe are great, but Nicole Kidman is fantastic here. 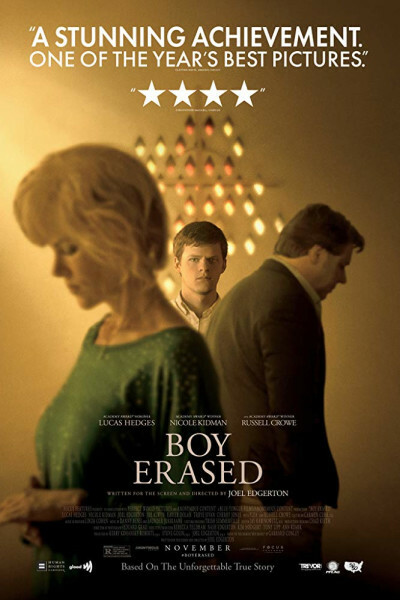 Though both sides trade in stereotypes, the center thread is a strong one (based on Garrard Conley's 2016 account of his personal experience in fundamentalist conversion therapy), and while the film is not quite enjoyable (so much as informative), it is very well done. Tasteful, I would say, and respectful.